We had a lot of fun rowing Blueberries for Sal. We enjoyed reading the story each day and found lots of fun activities! ...had a blueberry hunt inside with pom pom balls, and practiced counting and sorting. 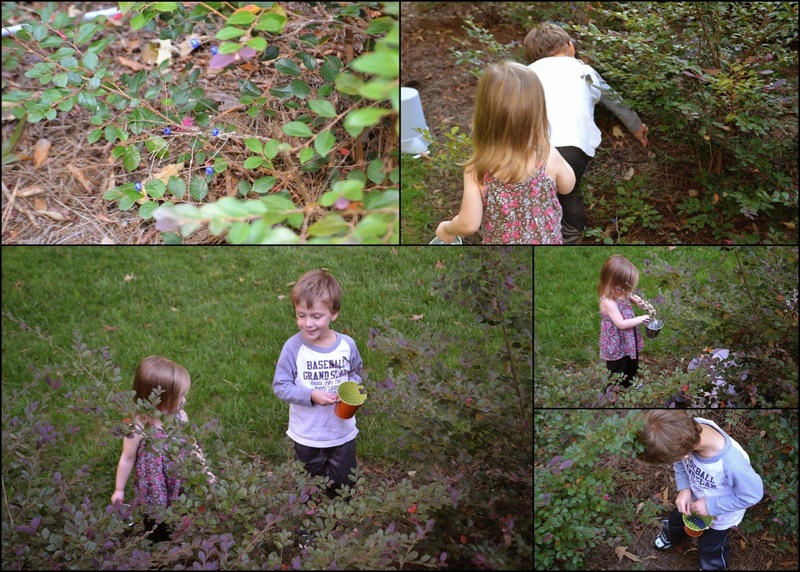 ...had a blueberry hunt outside with blue beads, which we could hear "plink" into our tin pails. We talked a little bit about hibernation, and read a supplemental bear book. We talked about the ink drawings in the book, and drew our own versions of blueberry hill with ink. 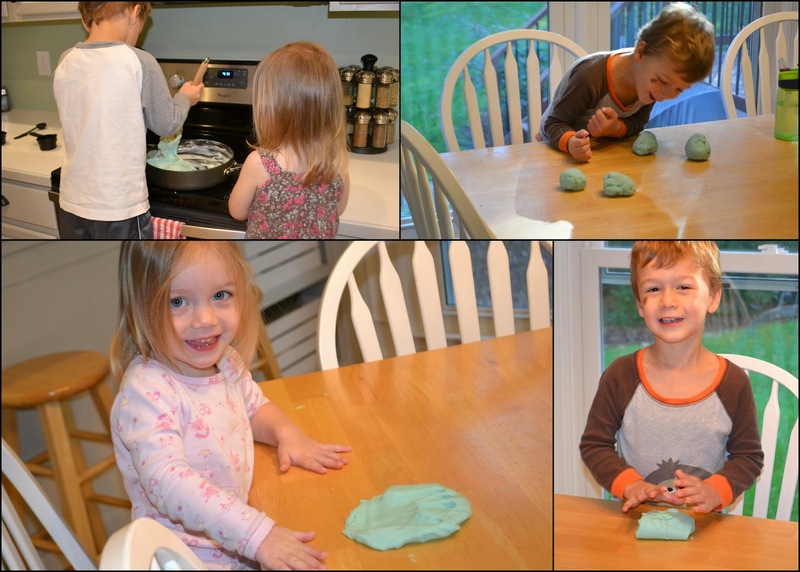 Then we added bear and bush stickers and painted/stamped blueberries using a cork. 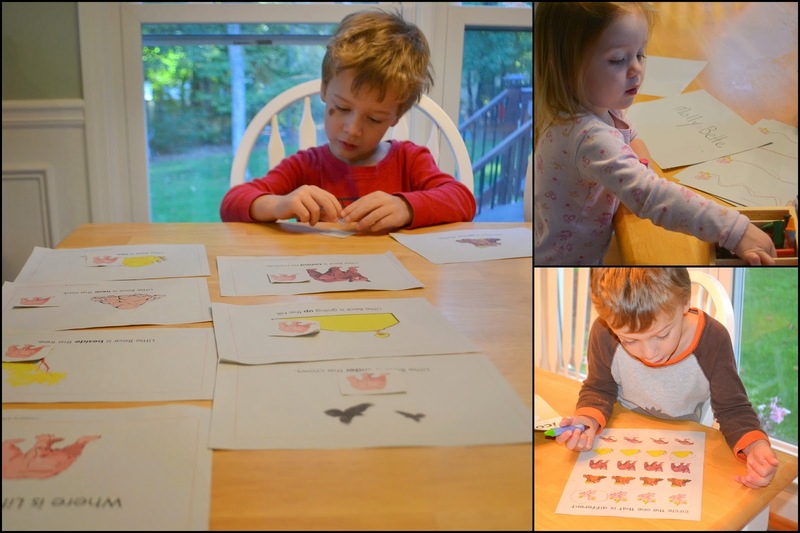 We did a few practice sheets of tracing, rhyming, starts with, and prepositions.